Located on Whadjuk land in Perth, Western Australia, PEN Perth is one chapter of PEN International. PEN International is a non-profit organisation that works at the intersection of writing and politics. In particular, PEN campaigns for the release of wrongfully imprisoned writers and advocate for the responsible freedom of expression. 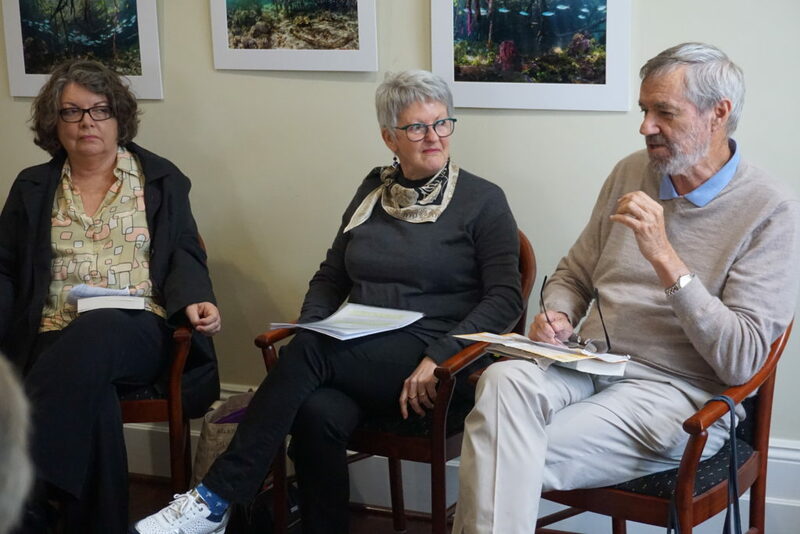 On the morning of Sunday 21 October, Dennis Haskell (PEN Perth Secretary), Marcella Polain (PEN Perth Writers in Prison Coordinator), and Rosemary Sayer (PEN Perth Membership Coordinator) sat down to discuss the power of the word and its conflicts with the sword. Listen on below.